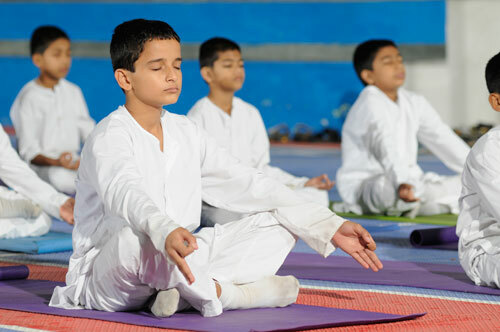 Yoga forms an important part of the curriculum at The Aryan School. A healthy mind is as essential as a healthy body. A qualified Yoga instructor conducts daily morning yoga classes to improve eyesight, memory and concentration. Every morning students attend Yoga class for breathing exercises and Suryanamaskars. Special Yoga sessions are arranged to treat individual health disorders (such as asthma).